​​2016 - The pictures below show the goods for sale at this year's November monthly meeting. It is hoped a donation to 'The Flower Pod' charity at Brackenhurst can be made from the proceeds. 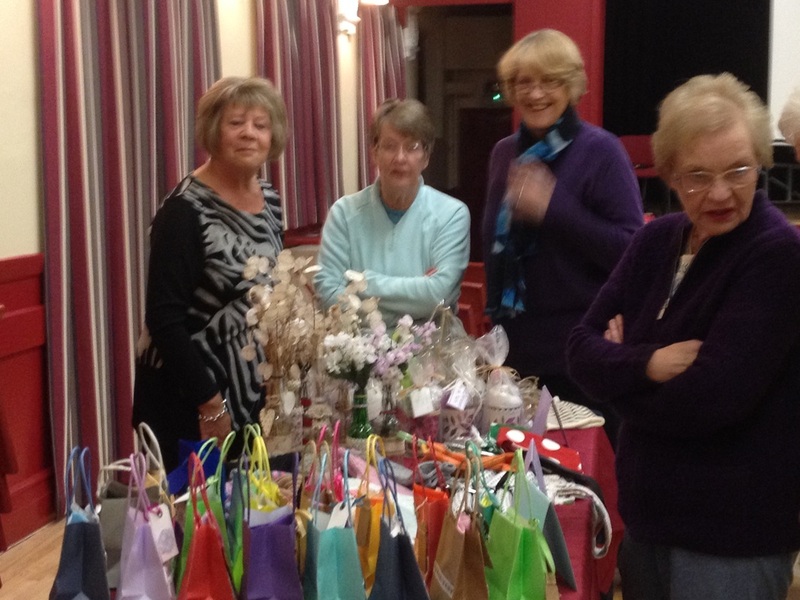 2015 - The Craft Club will have a stall of things they have made at the October monthly meeting. 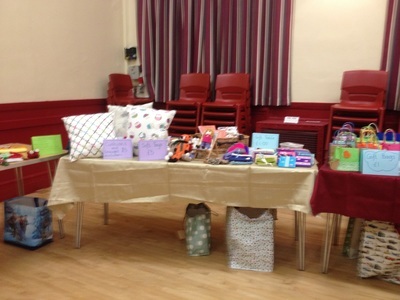 Six lucky members will win a raffle prize from the stall and will be able to choose whatever they like! All the other items will then be open for sale to all members. 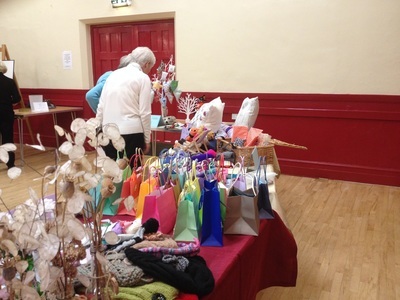 We have a variety of items including Christmas decorations; beautiful bags; useful aprons; peg bags; table cloths; hats; brooches and even a wonderful painting. Proceeds from the raffle tickets will, as usual, go to the WI and money raised from sales will go to the Craft Club for more resources to fund our projects. 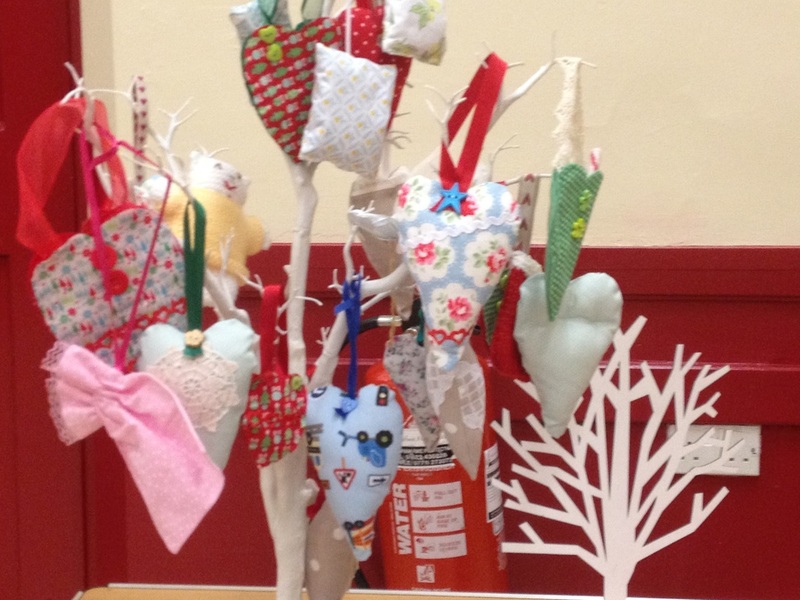 Don't miss this lovely opportunity, bring your purse and support the Craft Club. We have knitted these teddies for an organisation called "knit for Peace". They give these teddies to hospitals to give to children who arrive there with no special toy from home. I guess it's children who've had an accident outside of their home or been taken ill suddenly. We really enjoyed doing them and home they bring some comfort to these children! Our Craft Group have been knitting vests with little matching hats for babies born in Africa to mothers who have absolutely nothing. In fact they are called 'fish and chip babies' because their mothers have to wrap them in newspaper because they have nothing else. Our knitters tried to make the vests as colourful as possible. The next project for the Club will be to make cards. The Craft Group had a very successful year in 2014. 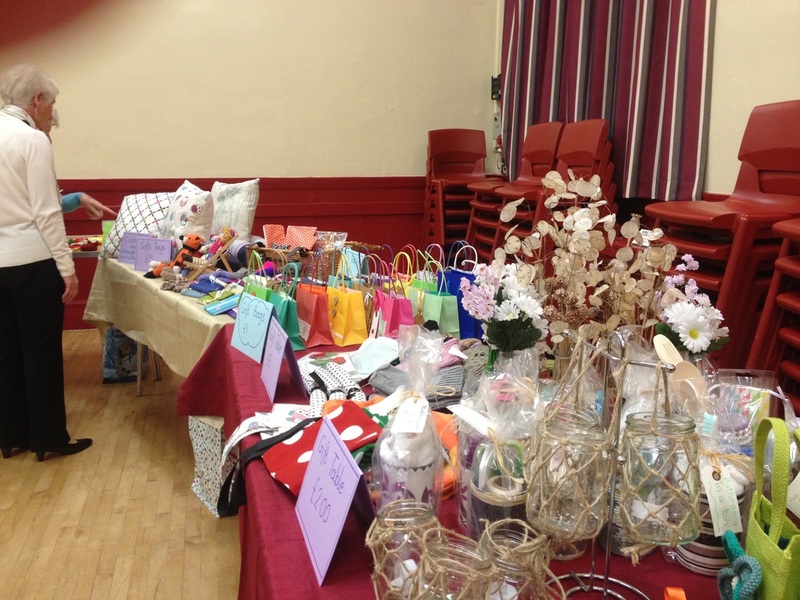 They learnt to make rag rugs, to crotchet and to package gifts beautifully! 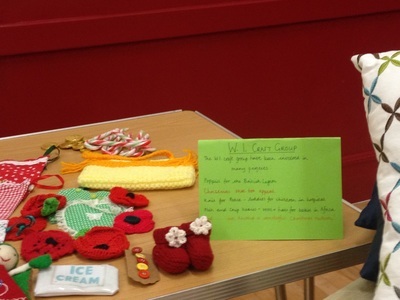 The Poppy knit raised £300 and they have created a delightful nativity as shown.